It’s the last week of school for us and we cannot wait for summer break! Last year we started a new type of summer bucket list at our house by going “old school”. Each week we did at least one “old school” summer activity with the kids that my husband and I loved when we were little. There are tons of crazy cool ideas all over the internet, but sometimes it’s nice to just keep it simple. 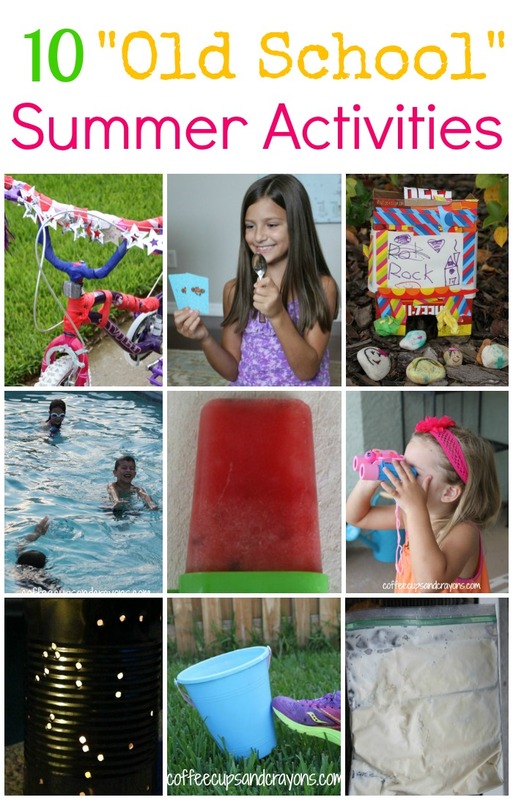 Here are 10 of our favorite “Old School” activities from last summer! Make popsicles–try these super healthy watermelon ones! Decorate your bike–this one is perfect for 4th of July parades. Go cloud watching. You can use cloud paint to paint what you see! Play the card game Spoons together as a family. Make pet rocks. We even made houses and spaceships for ours. Burn some energy and play Kick the Can. We are still going “old school” this summer too! 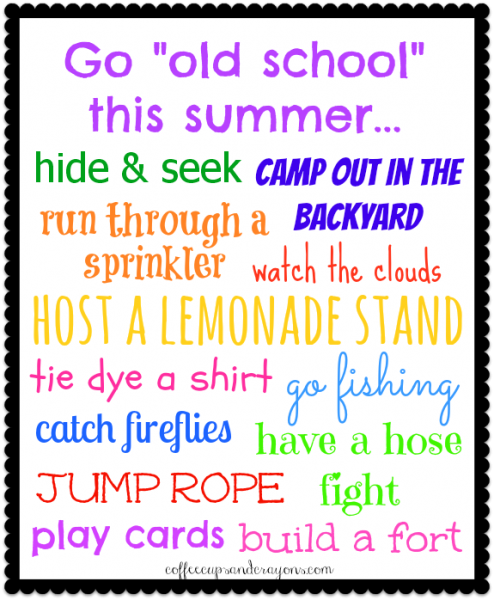 We have big plans for some more fun this summer and may even add a couple more “old school” summer activities for kids to our original list. What would you suggest?